Scroll down to discover more. Simply click on the thumbnail images above to view and order other colours. 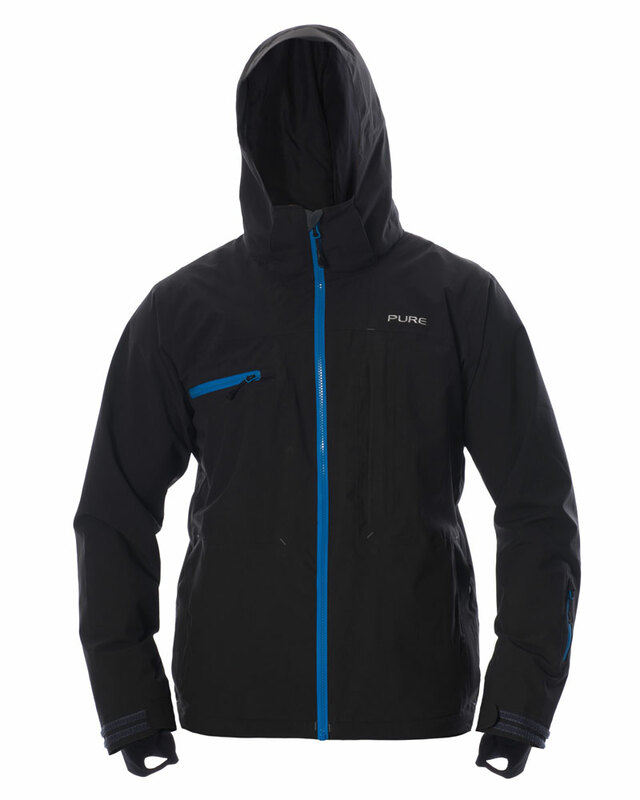 Pure Brandz Kilimanjaro men’s mountain jackets are made with only the best materials on the interior and exterior. 100% windproof and 100% waterproof, chilly winds and rainy days are no match for the Kilimanjaro jacket. What’s more, a secure connector interface locks the jacket to your pants while trusted YKK® waterproof zips provide extra defence against the elements. On warmer days, its underarm mesh venting and lightweight breathable fabric allow sweat to evaporate and keep you dry on the inside. Yet, being able to move freely is equally important. 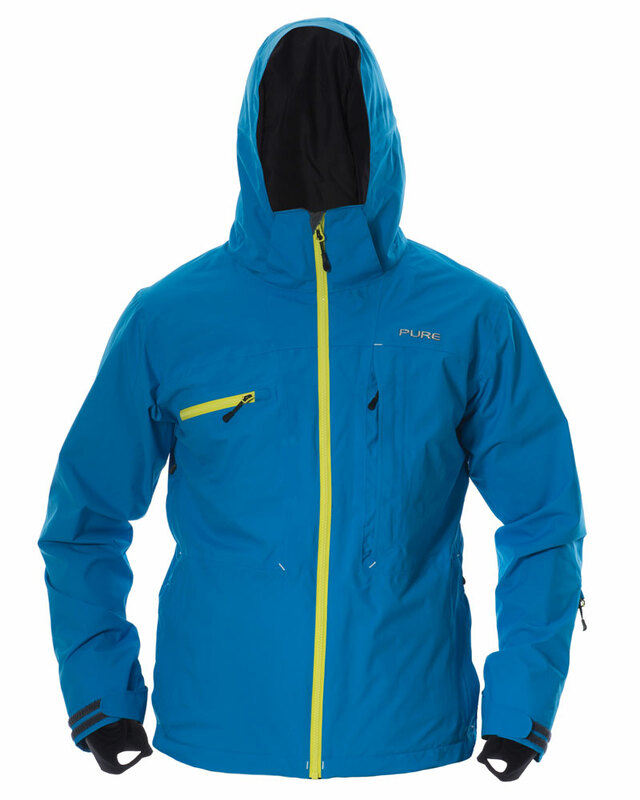 For this reason, the Kilimanjaro features a stretch to the fabric, making it one of the best men’s jackets for hiking and cross-country skiing. 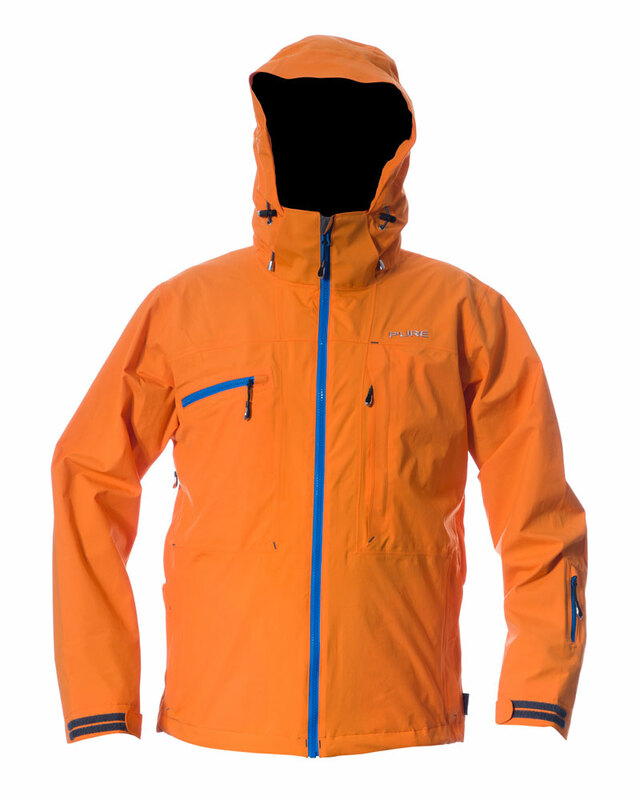 The Kilimanjaro is one of the lightest men’s mountain jackets of similar spec at an average weight of just 752g. 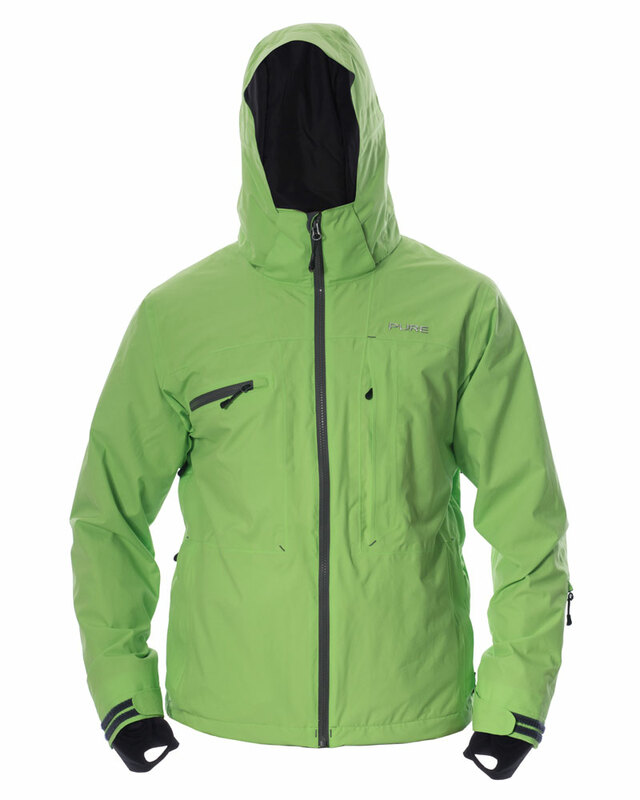 To optimise jacket weight to 584g, simply unzip and detach the hood and powder skirt from the jacket. - 100% seam sealed contoured panels follow the shape of your body. - Additional venting for high exertion periods. - Removable stretch powder skirt clings to your body to prevent snow coming in. - Branded collar offers warmth and style around your neck and chin. 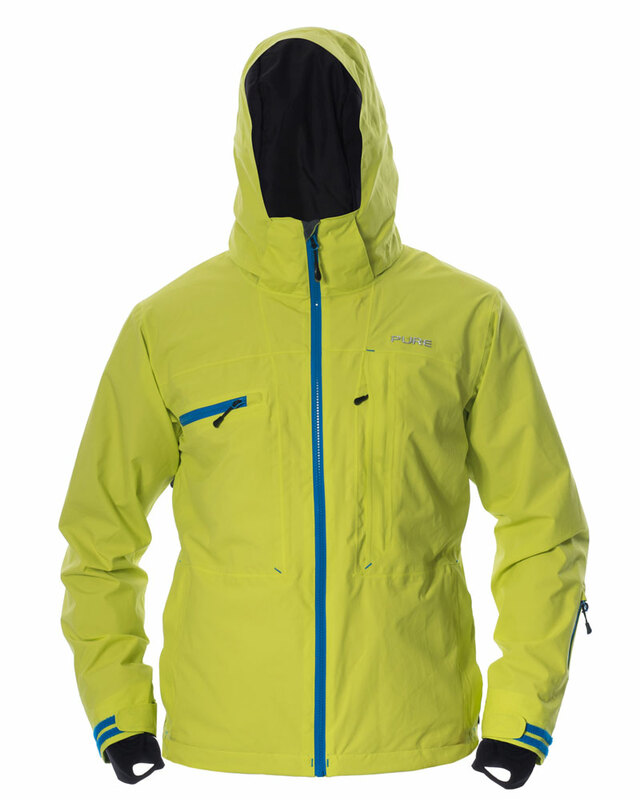 - Hood peak provides maximum weather protection and increased visibility. - Mesh goggle pocket, internal wire-friendly music pocket, security zip pocket, and forearm pass pocket for hassle-free scanning. Each and every single one of our garments are manufactured exclusively with Sympatex® – the World’s Best Performance fabric with optimal breathability and an incredible waterproof rating of 45,000mm. YKK® waterproof zippers provide guaranteed protection to make sure you’re ready for whatever nature throws your way. RECCO reflectors added to the garment will help rescuers find you should you ever get caught in an avalanche or other danger on the mountain. What’s more, PURE products are 100% PFC free and made from 100% recyclable materials. All these features while still maintaining the most ecologically responsible clothing in the world! 30-Day Refund or Exchange: We offer a 30-day return policy on items purchased online. This means that if you are not satisfied with your purchase for any reason, you can return it to us within 30 days of receiving it. The returned goods, other than faulty items, must be returned in a resalable condition. Click here to find out more. Warranty: All PURE products come with a 3-year unconditional warranty. After 3 years, we offer a 10% Buy Back Option where you can receive 10% off your next PURE purchase or donate the money to charity. ALL returned PURE products are donated to appropriate aids in colder climates. Click here to find out more. Registration: Once you have bought your product please be sure to register it. Click here to find out more. Enhance your style and show off your personality by pairing your new jacket with some of the best hiking pants for men. Simply click on the thumbnail images below to view and order pants.